Mi Casa es Tu Casa is PVA’s annual exhibit inspired by Día de Los Muertos (Day of the Dead), a traditional holiday in Mexico that celebrates ancestors and others who have passed away. Altars (ofrendas) are built in homes and public spaces to honor and remember the dead. Similar customs exist throughout the world and we share common ground with many cultures in our desire to honor and remember those whom we have lost. Take a virtual tour of the exhibit! 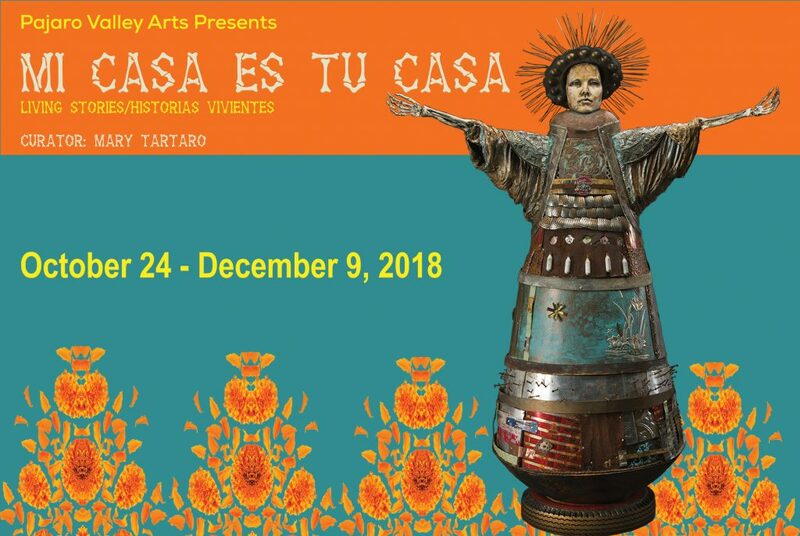 Learn more about the altars and art in this show by clicking on the the following: Curator Mary Tartaro’s Statement, Connections, Gifts, Santa Cruz Children’s School Remembers, Nuestras Historias que Trascienden el Tiempo, Vó – Grandma, Sentinels, The Family Silver, 23 Known, The Web of Life, Our Tree of Stories, Mariposa’s Arts, As The Sun Sets, Tree of Life, San Juan – Truth in History, La Muerta Bella, The Little Lost Mariachi, Butterflies of Our Beloved, Mary Catherine, Finding Beauty in Ordinary Places, Honoring My Mother’s Art, Our Ancestors Voted for Our Present, Ancestral Home, Celebrating Our Black Ancestors , Hijos Ausentes de Sta Gertrudis y La Escondida. 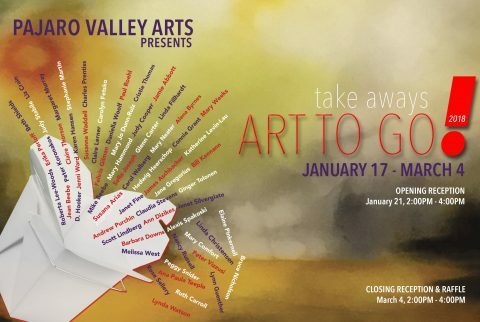 We invite you to join us for our first exhibit of 2018, Take Aways: Art to Go! 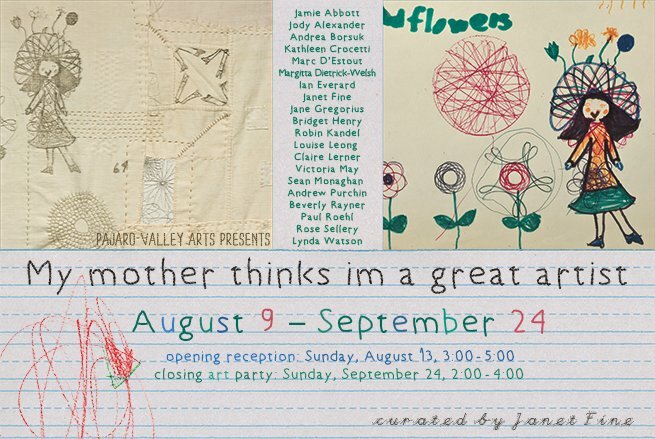 This annual invitational exhibit features sixty-two of the county’s most notable artists. As a fundraising event these artists are presenting works that fit into many budgets. 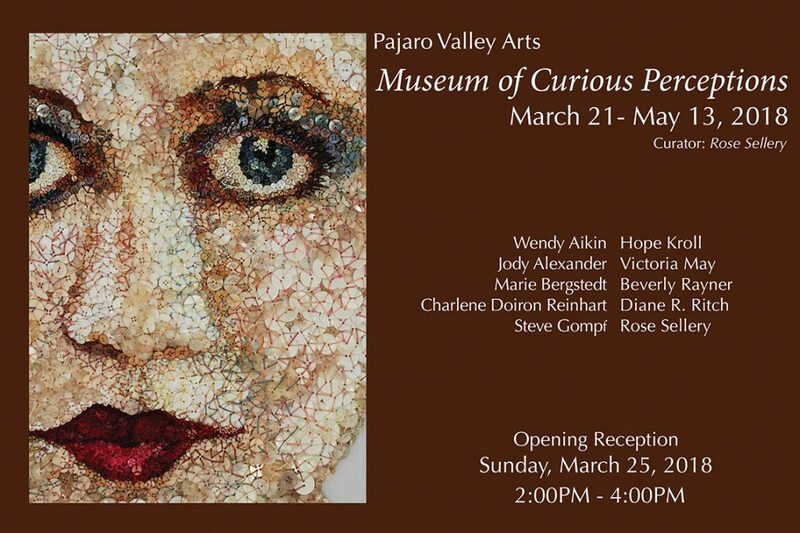 In this wildly popular show everyone benefits; you take home fabulous art the day of your purchase, the artists and PVA get their normal commissions, and new art comes into the gallery every day! The January 17 – March 4 exhibit will include an opening reception on Sunday, January 21, from 2:00PM to 4:00PM, and a closing & raffle reception on Sunday, March 4, from 2PM-4PM. The artists are well known from numerous exhibitions and teaching experiences in Santa Cruz County and beyond. Others are known from Open Studios, and all artists bring years of expertise and practice in their submissions. The pieces of art include sculptures, encaustic (wax), painting, printing, photography, and glasswork, almost any medium possible. 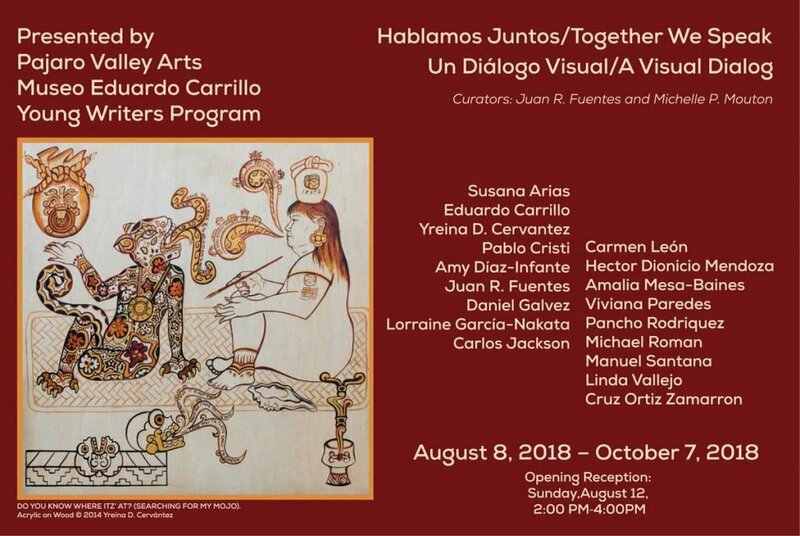 Diversity is one of many descriptions that fit this remarkable exhibition. 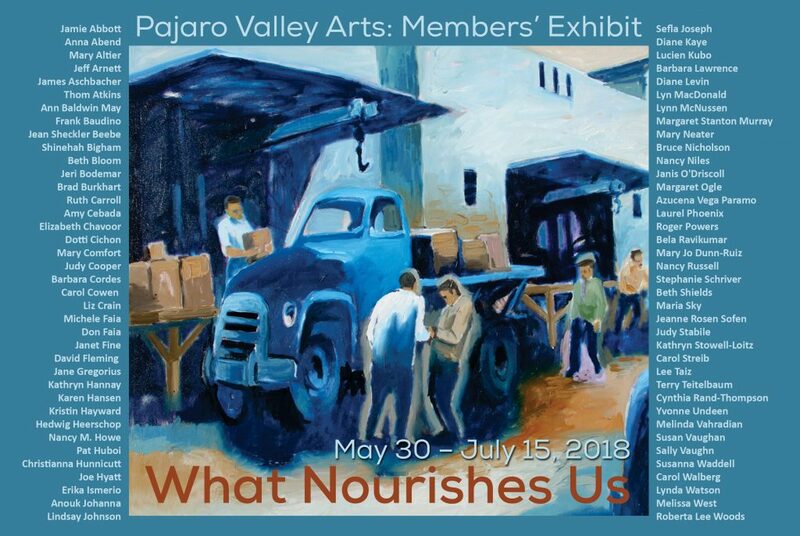 Artists include; Cristie Thomas & Scott Lindberg, Stephanie Martin, Andrew Purchin, Peter Vizzusi, Rose Sellery, Jenni Ward, Charles Prentiss, Barbara Downs, Jamie Abbott, and many others. Visitors are encouraged to visit and “Take Away” some beautiful art. In addition, several donated pieces will be part of a raffle throughout the show with the drawing held during the closing reception on March 4, 2PM-4PM. 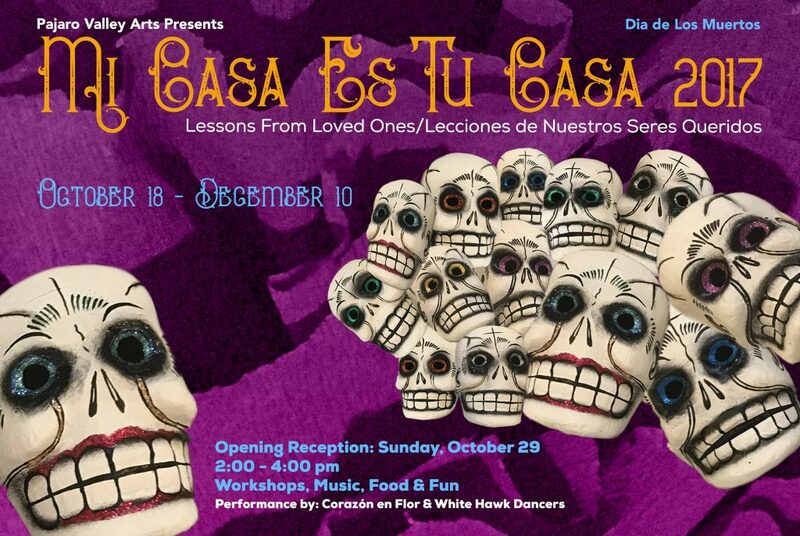 Mi Casa es Tu Casa is PVA’s annual exhibit inspired by Día de Los Muertos (Day of the Dead), a traditional holiday in Mexico that celebrates ancestors and others who have passed away. Altars (ofrendas) are built in homes to honor and remember the dead. Similar customs exist throughout the world and we share common ground with many cultures in our desire to honor and remember those whom we have lost. Our theme this year is, Lessons from Loved Ones. Family traditions start with a lesson and our loved ones’ lessons leave impressions which outlive us. When we continue family traditions it reconnects us to that which has made us who we are. Family secrets, recipes, arts and crafts, ways of speaking and behavior; these are all passed down through generations. We repeat them to comfort us, build closeness, and strengthen our families. Traditions are the harmonious thread of remembrance we all share. Participating schools, groups and artists: Kreative Occasions, Summer Rhee-Pizano, John C. McCue II, Tartaro Family, Community Life Services, Vera Bocanegra Powers, CSUMB Art in the schools and Community, Hijos Ausentes de Santa Gertrudis y la Escondida, Friends of Kathy, Sisters of the Sacred Circle, San Lorenzo Valley USD Charter, Laura Ortiz-Spiegel, E.A. Hall Middle School-After School Art Class, Hall District Elementary School-After School Art Class, Watsonville High School Ms Webb and Carol Leinenbach, EA Hall Middle School, Mariposa’s Art, Monarch Service, PVPSA Families, Hospice of Santa Cruz County, Amesti Elementary School, David Fleming, Hedwig M. Heerschop, Diversity Center Santa Cruz, Los Nietos Altar, Watsonville Aptos Adult Education, Erica Crawford, Priscilla Martinez, Anastasia Torres-Gil, Mission Hill Middle School, Ana Paula Teeple, Diane Berry Wahrer, Cynthia Rand-Thompson, Rosa Sanchez, and Jean Sheckler Beebe.